Dr. Dave Weldon was born in 1953 on Long Island New York to David Weldon Sr. a postal clerk and WWII Army veteran, and Anna Malardi Weldon a school teacher. Dave went to college at SUNY Stony Brook, earning a bachelor’s degree in biochemistry. From there he attended SUNY Buffalo College of Medicine where he earned his M.D. degree in a 3 year accelerated program and was inducted into the Alpha Omega Alpha national medical honor society. After completing an Internal Medicine Residency at Letterman Army Medical Center in San Francisco, California, he went on to serve for 3 years at Winn Army Community Hospital in Georgia. He left Army active duty with the rank of Major and went into private practice in Melbourne, Florida in 1987. In 1994 he ran successfully for the U.S. Congress, becoming the first physician elected to the U. S. House from the State of Florida. He represented Florida’s District 15 for seven terms in Congress on committees and caucuses including the Science Committee, the Education and Workforce Committee, Banking and Financial Services, Government Reform and Oversight, and the Appropriations Committee on Health. 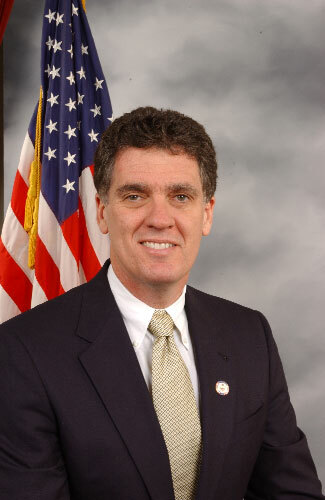 He was also a member of the Republican Study Committee and served on the Speaker’s Task Force on Healthcare Reform. The district is known as “The Space Coast,” which included Kennedy Space Center home to the nation’s Space Shuttle, Patrick Air Force Base and Cape Canaveral Air Station. Dr. Weldon was one of the founding members of the Aerospace Caucus, which worked closely with the Aerospace Industries Association to promote job growth and support for our nation’s aerospace industrial base and national defense. As a physician, Dr. Weldon became involved with many health care policy issues, including efforts to provide prescription benefits for seniors on Medicare, construction of a Veteran’s clinic in his district, vaccine safety, and efforts to ban human cloning. He helped lead the effort to remove toxic mercury containing preservatives from childhood vaccines. For his health care work in Congress, Dr. Weldon was awarded the status of Fellow of the American College of Physicians in 2005. In 2006, Dr. Weldon founded the Israel Allies Caucus in the U.S. House, formed to strengthen ties with Israel and help establish a safe and secure future for the people of Israel. In 2007, he partnered with Israeli Knesset member Benny Elon to create the Israel Allies Foundation, or IAF, an organization dedicated to strengthening Israel and preserving peace in the Middle East. In 2008, Dr. Weldon left Congress and returned to practicing medicine. He later founded a consulting firm, providing services to businesses and foundations in the areas of healthcare, aerospace and government relations. Recently Dr. Weldon was pleased to join the faculty of Florida Institute of Technology teaching in their Biomedical Engineering Program and helping Florida Tech develop new programs in the biomedical and health science areas. While in Congress, Dr. Weldon was a founding member of “The Second Amendments”, a bi-partisan rock & country band that performed at Farm Aid, We-Fest and other events. He and fellow band members Representatives Thaddeus McCotter, Colin Peterson, Kenny Hulshof and John Porter entertained troops in Iraq and Afghanistan in 2005. In 2012 Dr. Weldon ran in the Republican primary for the nomination to challenge incumbent Bill Nelson in the US Senate. A late entry in the race, Dr. Weldon nonetheless came in second place. Dave Weldon has been married to his wife 33 years, and they have two children. Kathryn age 26 and David age 15.